Aksharamanamalai is a divine outpouring of Bhakti and Jnana, ‘seen’ and composed by Ramana Maharshi, little more than a hundred years ago… A powerful hymn, the composition has been a ‘taraka mantra’ for devotees, and is sung every day by ever so many people… The composition has been translated and sung in some other Indian languages as well. This blog writer had the privilege and blessing of translating the holy song into Hindi, some years ago. And the later, in 2014, the centenary year of Akshramanalai, he had the great honor of translating the song into English. 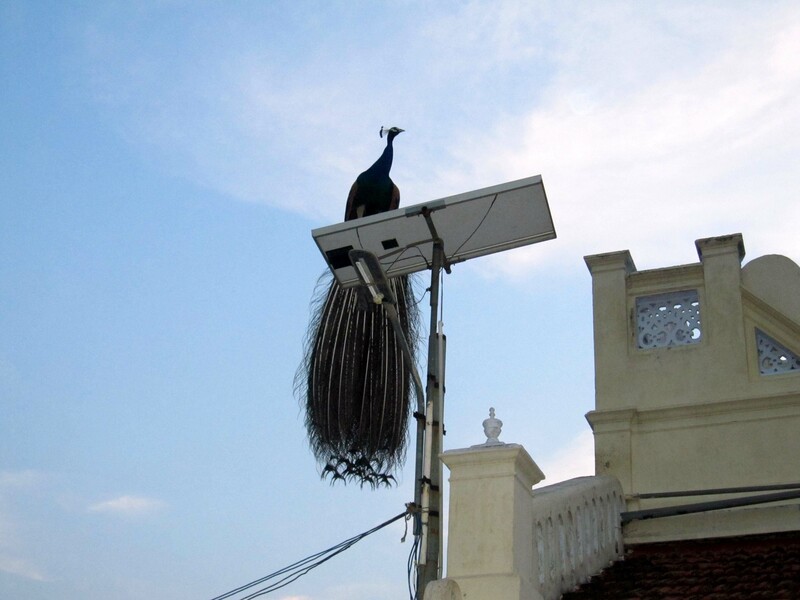 He presented this during a seminar of Ramana Centre, Bengaluru in early April 2014. He presented this once more during the Golden Jubilee Celebration of Ramana Kendra, New Delhi, which was held in end April, 2014. And then later he presented this in Ramana Kendra, Chennai as well. And then as a fulfillment of a heartfelt prayer, he could present this in Sri Ramanasramam as well. On December 16th, 2017, this was sung in the New Hall adjoining the Mathrubhutheshwara and Ramaneshwara Mahalinga shrine at Sri Ramanasramam. 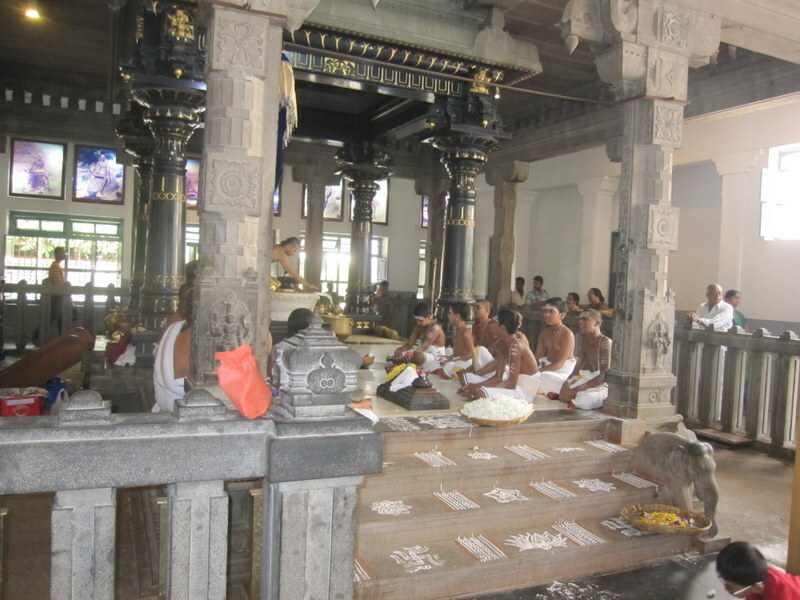 The original Tamil verses and the translated English verses, were sung alternatively, individually. My better half Ambika, sang the Tamil verses, and yours truly sang the English.. Sharing a youtube of the audio recorded that day. Om Namo Bhagavate Sri Ramanaya! 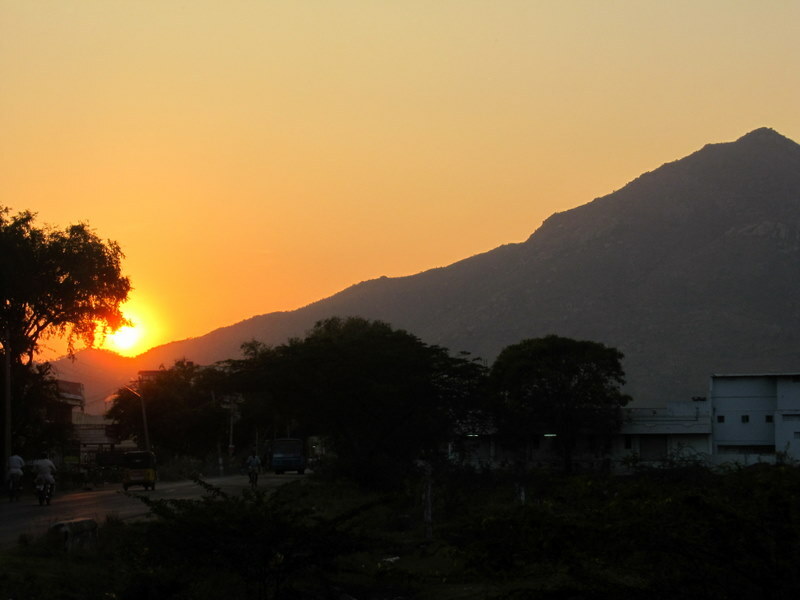 Arunachala smaranam! Well, not exactly that, but to Soota (‘yours truly’), the feeling is good, anyway. Two of this-I’s books are now available as ebooks on Amazon… Ready to buy 🙂 and read…. 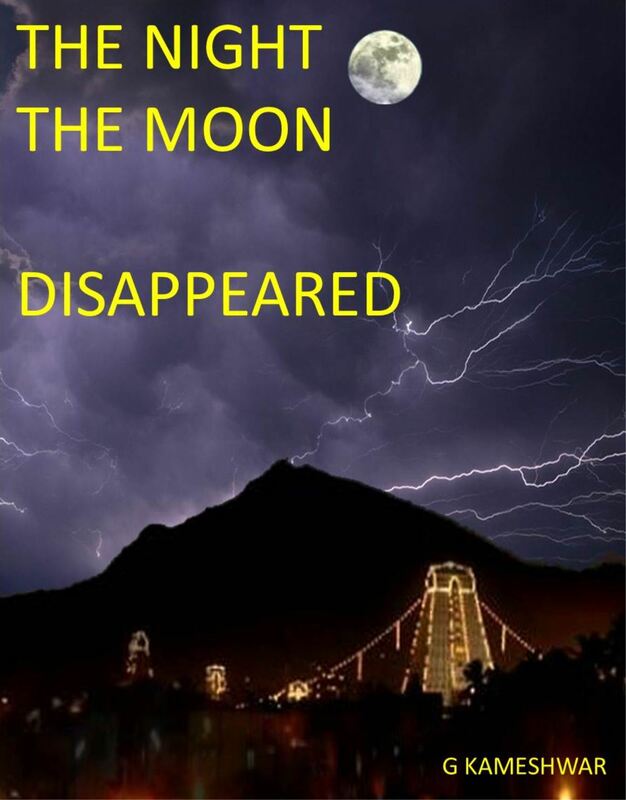 The first is a short work of fiction, called “The Night the Moon Disappeared”. The story is about a family that sets out on a full moon night, doing circumambulation around the holy mountain of Arunachala… And what happens when the moon disappears, death-style… A book meant for people of all ages, it starts off as a children’s story and grows up at every step of the way to reach the summit of the holy mountain, Arunachala… It is a search in prose-poetry of mystic ways to find one’s own Self. Click here for the Amazon-Kindle link to the e-book. 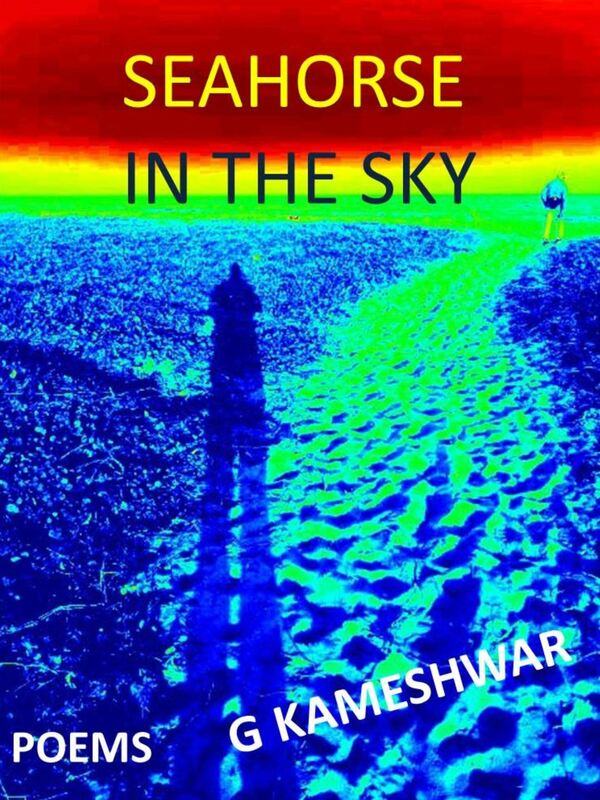 Divya Kumar, blogger-writer, blogging about different book launches in Chennai, mentioned that the book was “Not a work of fiction, but an excellent collection of poetry by an unlikely poet“. Did I mention that the water-cans bought at Darchen did not last? 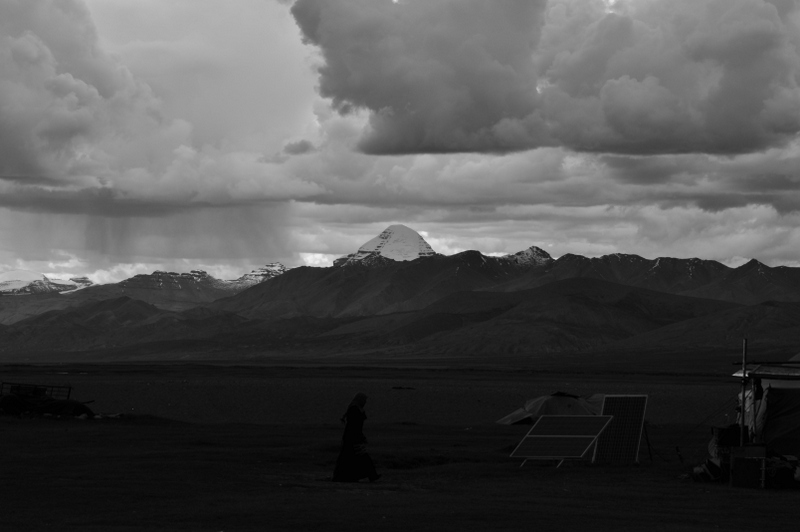 Many co-yatris who had filled their darchen-cans with Manasarovar water found that their cans had cracked, and the waters gone… More titiskha… Fellow Yatri-s pitched in and gave some from their cans, and all’s well that ends well. On the 9th of July, 2013, Soota left Kathmandu for New Delhi. 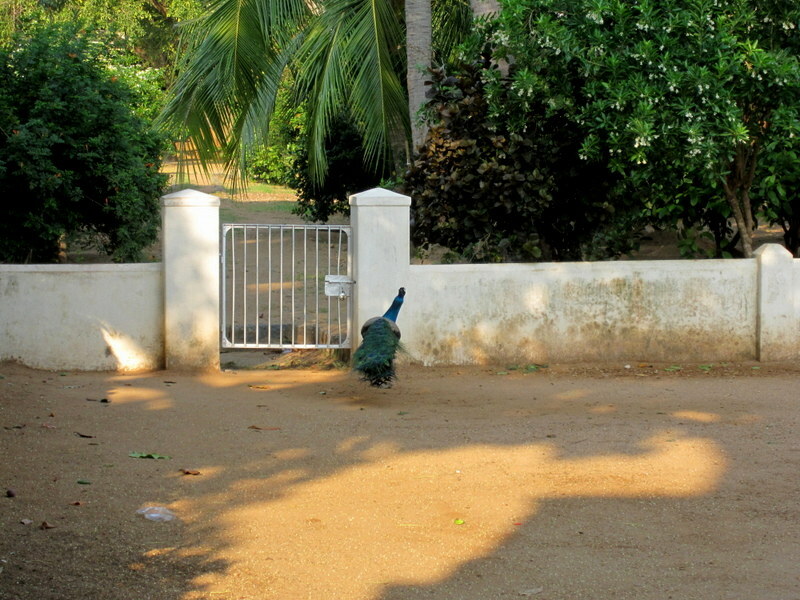 After a days there, he returned home, to Chennai… A tremendous sense of peace enveloped him. 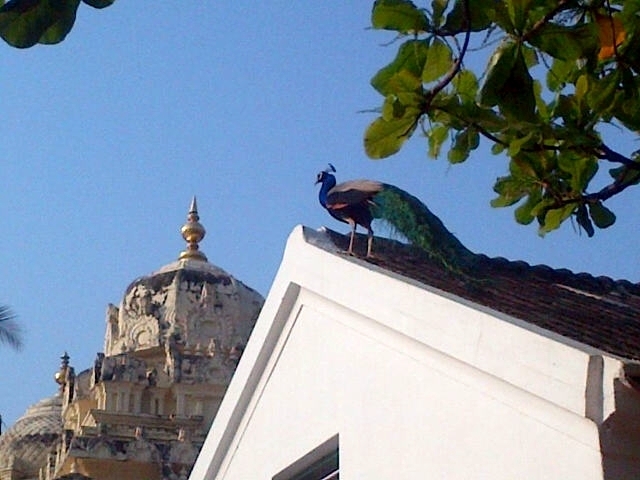 Walking past the shrine of Buddha in the Theosophical society, Chennai, he felt beautifully insignificant. 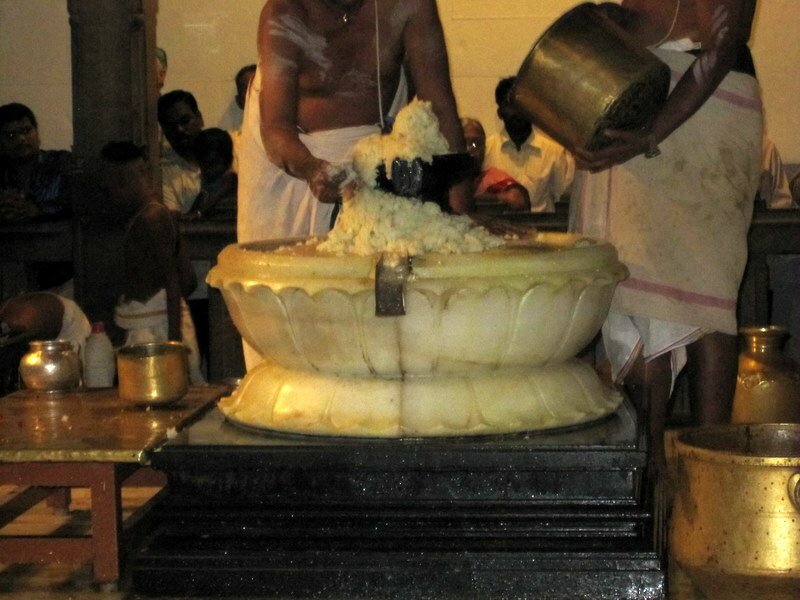 A month later, on Ekadashi tithi, he and Shankar came to Tiruvannamalai and did Giriprakshanam (circumambulation of Arunachala) as thanksgiving. It was on another Ekadashi day, two fortnights ago, that they had done the second day of Kora, and crossed the Dolma La. 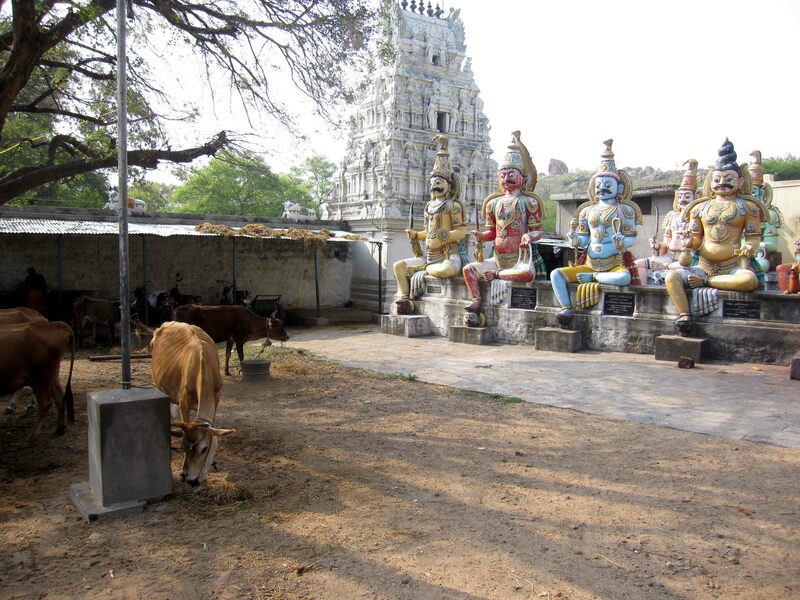 Soota also made a trip to Kanchipuram, to Kailasanatha temple, and offered some Maanas water for abhisheka to Lord Kailasanatha. 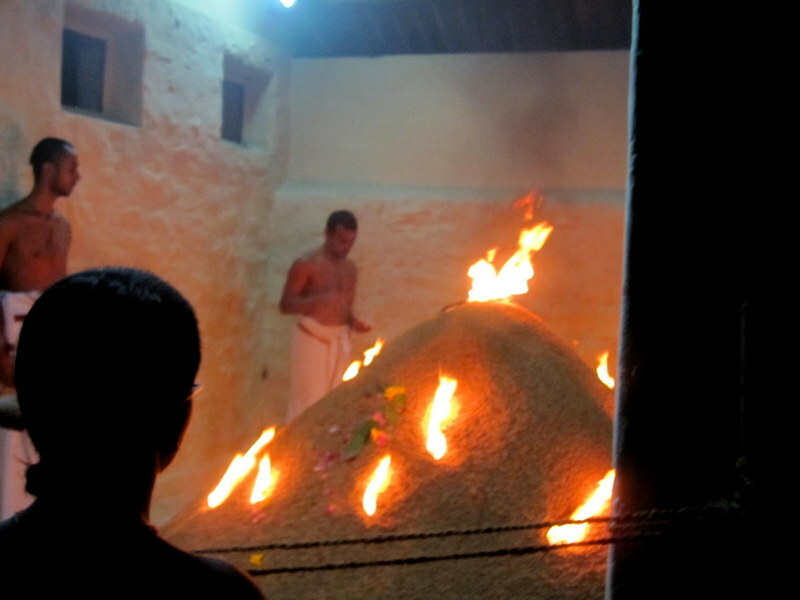 Also to Devi Kamakshi at Kanchipuram and Mundagakkanni Amman at Chennai… And then this year, on Sivaratri night, Soota, Shankar, Shiva – three co-yatris of Kailasa – along with Narayana Iyer, another friend who had done Kailasa Yatra a few years earlier – did Arunachala Kora together…. Om Nama Sivaya! In Chennai, immediately after his return from Kailasa Yatra, Soota shared his Yatra experience in ‘story-telling’ sessions with a small group of enthusiasts. He commenced writing this blog series as well, little realizing what he was getting into. A series that has taken a whole year to complete. Many of you have been with this whole Yatra – and heartfelt thanks to you all. Many have decided to make the Yatra themselves… More power to them… We have now entered the Tibetan year of the horse – a kumbh-mela year of pilgrimage of Kailasa… Comes once in twelve years… Om Nama Sivaya! 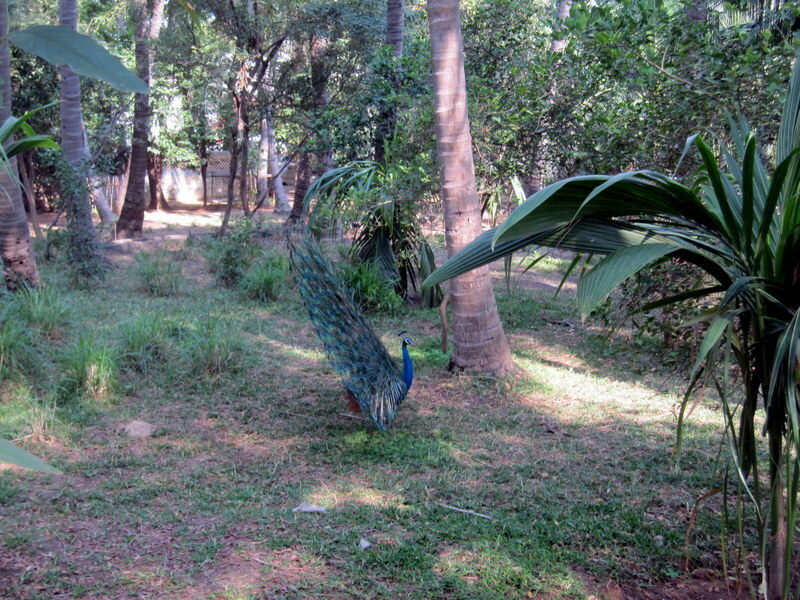 Yes, it has been a fascinating experience – being in the ‘zone’ for a whole year. Many nuggets of information came one’s way. Here’s one tidbit – In 1943 and 44, Sree Kailasa Sarana, a lingayat from Karnataka, did 100 rounds of Kailasa and 12 of Maanasa… (Info courtesy Swami Pranavananda). 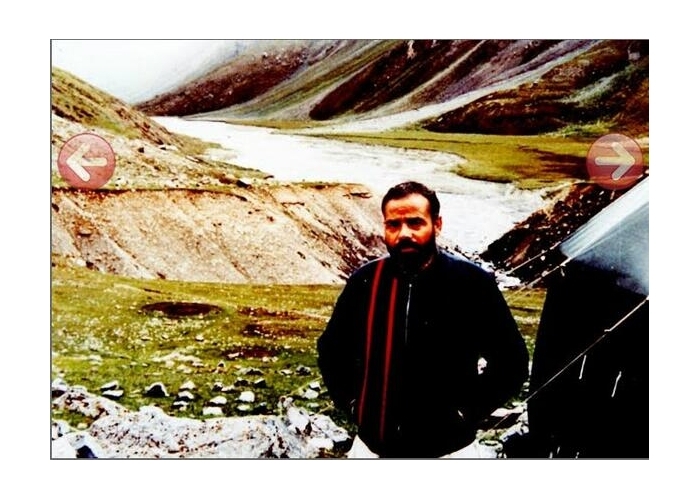 Another nugget: Did you know that the Prime Minister of India, Sri Narendra Modi, has done Kailash Manasarovar Yatra by foot? Lord! By making a pilgrimage (to holy places), your all-pervasiveness has been negated, destroyed . By meditating on you, your transcendence of mind has been negated, destroyed. By my praising you, your being beyond the reach of words has been negated, destroyed. Lord, ever forgive me for these triple sins. This was the proclamation of Avadhuta, Dattatreya. He in the Bliss of complete non-duality, steps down from it to offer this prayer… Yes, this proclamation of the Avadhuta (the all renouncing mendicant sanyasi) is a prayer too! To the same all-pervading, supreme, transcendence that is Siva. 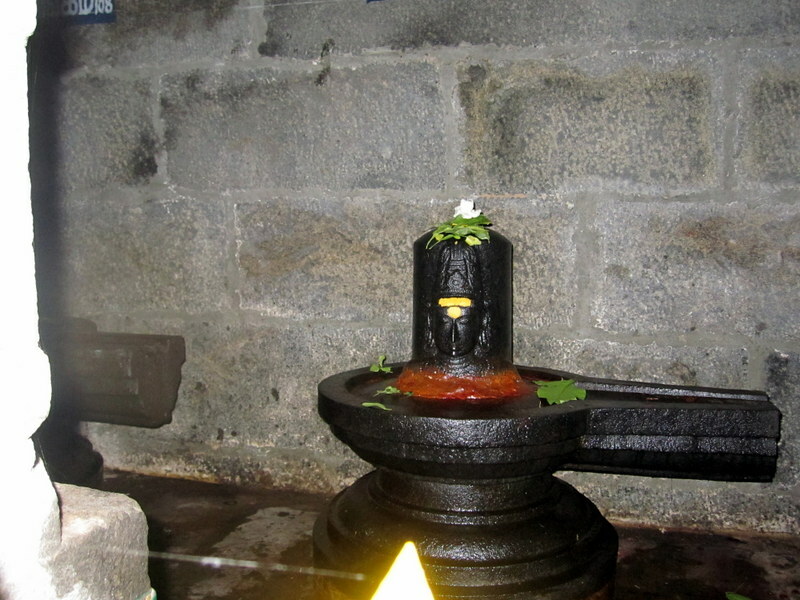 Let us then sing Mangalam to Siva… Auspiciousness to auspiciousness. 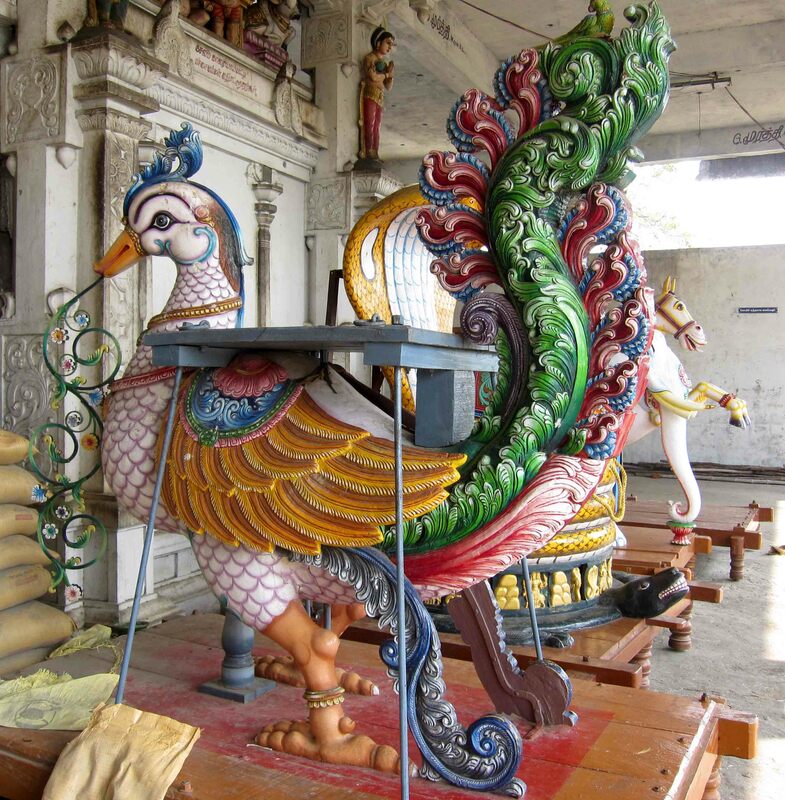 First the words of Goswami Tulasidas, who says in Ramacharitamanas…. Supremely enchanting is the best of Mountains, Kailasa! Eternally, where, reside Siva and Uma! And when the auspicious time came, he conveyed it to his consort, Sivaa (Parvati)! Praise the Lord, ruler of the world! Praise Him who gives all happiness! Praise Him who gulped the sea venom! Praise Him who has great virtues ! Praise Him who abides happily in my consciousness! Praise Him whose vision cannot be had without great difficulty! Praise that One who abides in Kailasa mountain! Praise! Praise! With my hands raised, folded in prayer! As if it were but a brief moment! “There are many religious Orders in this world, Orders with rules and regulations, with dogmas and rituals, with vows and initiations. But the brotherhood of those who have performed the pilgrimage to Kailas, who have gone through the trials of dangers and hardships, and were rewarded with the glorious vision of the sacred land, has received an initiation of the most profound nature. The invisible bond which unites them needs no vows, no dogmas, and no rituals. It consists in their common experience, the lasting effect of which is stronger than any manmade rules and distinctions”. Salutations to Him, who resides in Kailasa Mountain! 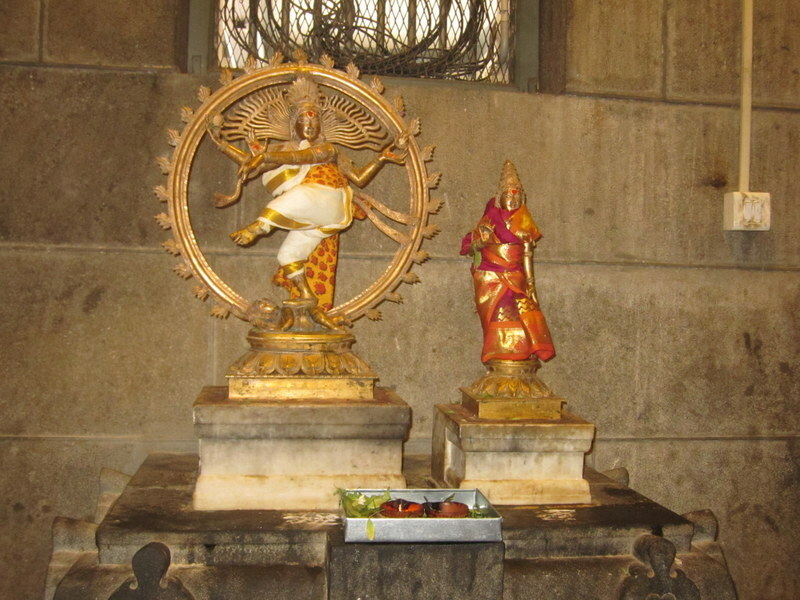 Today is Adi Krithigai, sacred day of Lord Karthikeya, the son of Siva! Haro Hara! Om Mani Padme Hum! Om Nama Sivaya! Maanasa-Kailasa Yatra Sampoornam! This was yesterday, 24th May 2014. Two days after Mahapuja at Ramanasramam. It has been raining last few evenings. Pretty sharp squalls. Trees had been flattened here and there. More of the same was expected on 24th as well.. 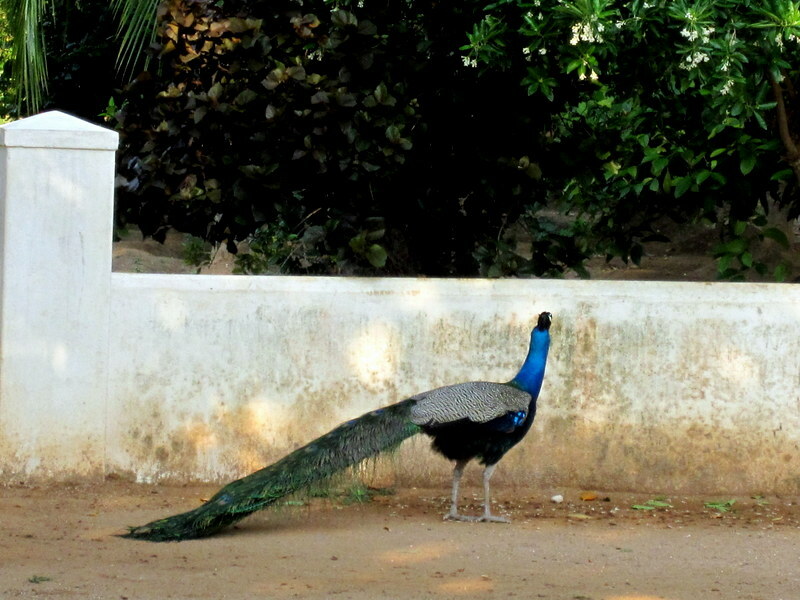 But here we were…Proceeding on the walk around the Arunachala hill. We were a group of nine people. It was Ekadashi thithi (eleventh day of lunar fortnight.. Sacred day) . One of the members of our group was Vandana, a young lady who I had met during my Maanasa-Kailasa Yatra. She had come with a family group, and all of them had completed the whole kora. 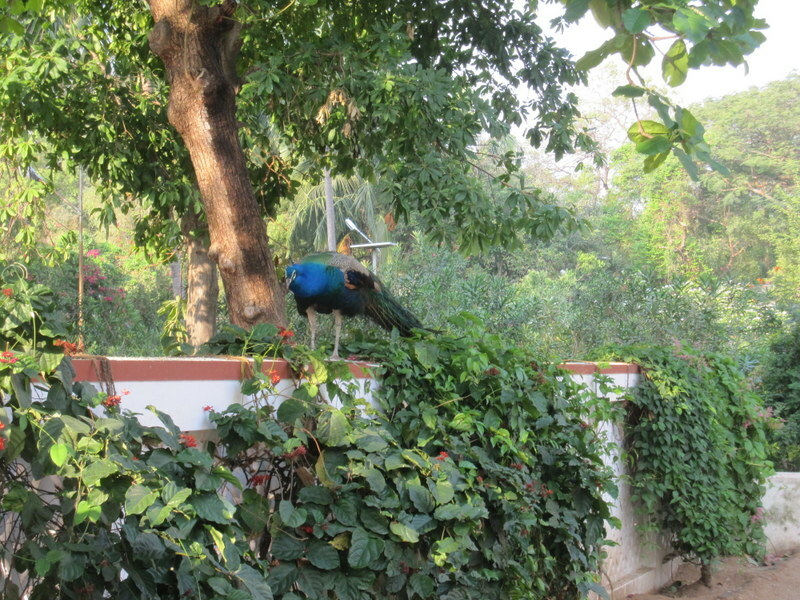 This was her first visit to Arunachala. 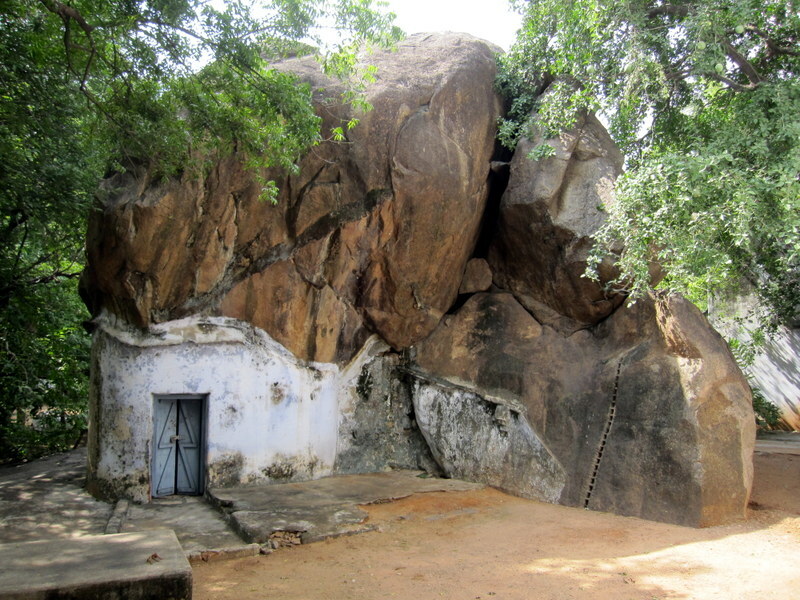 I recalled to her that the second day of Kailasa kora, the most grueling day of the Kailasa girivalam, had also been on Ekadashi… And so this Arunachala kora felt special too. As we walked, at one stage we could sense the fragrance of far-off-rains. 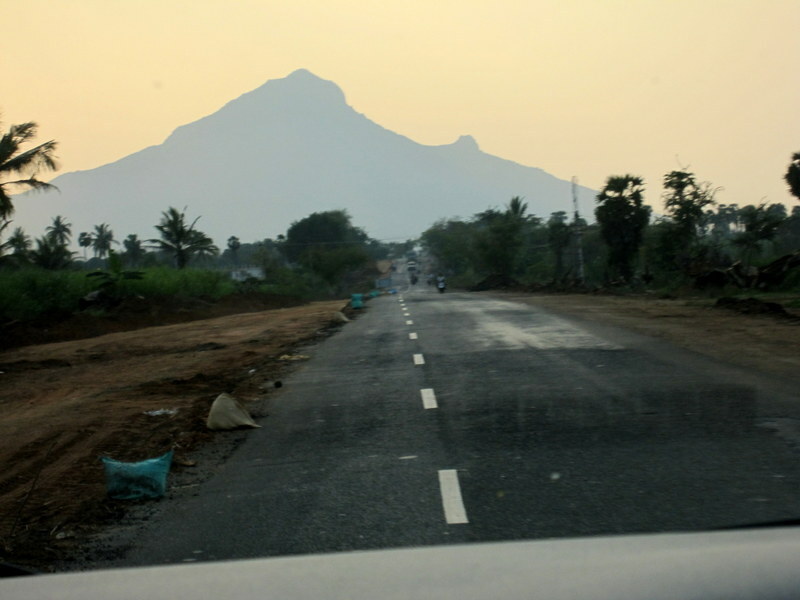 Sporadic lightnings gave hints of another squall to come.. As the sky darkened, I halted at a spot on the road, from where one could get a nice view of Arunachala. With my cell phone (a Samsung grand) I took a photograph of Arunachala against the night sky. And after clicking, I just opened the gallery to see how the picture had come.. The road to Siva! 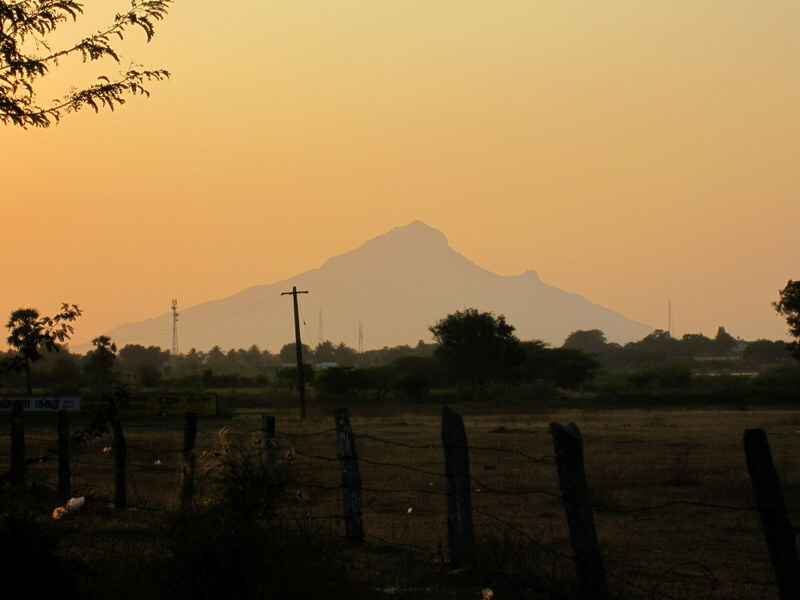 Arunachala! 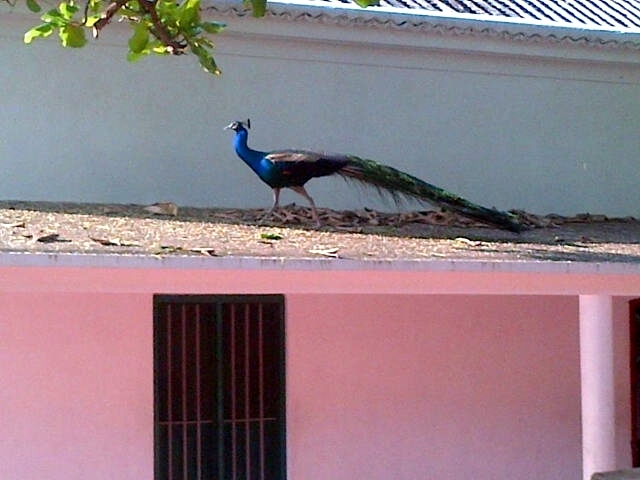 As I walk around Ramanasramam after the first puja of the night, I am greeted by a new sight…. I do not know what the ritual is…. I ask some people who have gathered there…. 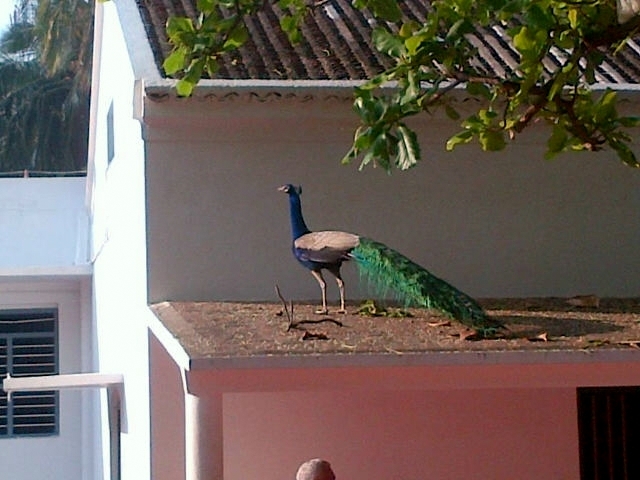 And then I come to know that the Ashram Vibhooti is being prepared. Every Sivaratri, they prepare Vibhooti (sacred ash) for the whole year…. 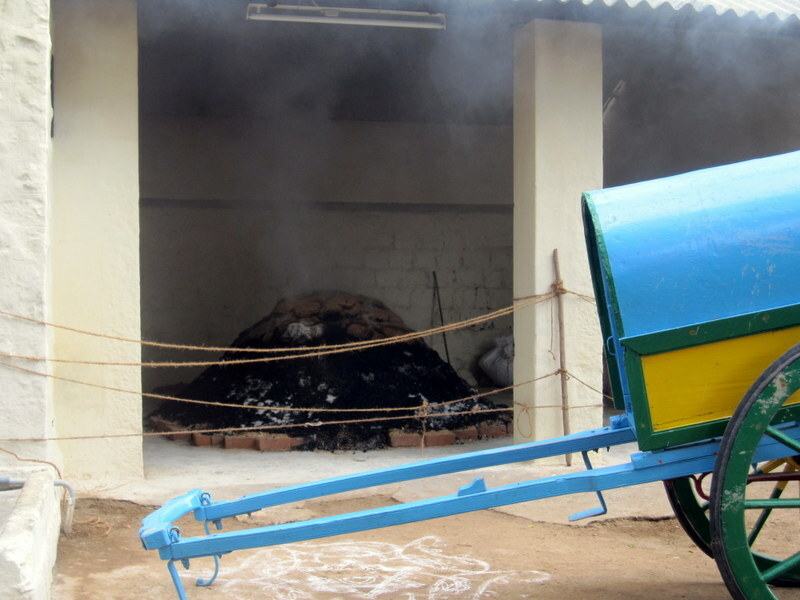 Cow dung from the Ashram Goshala is used… The mound of sand contains the ingredients that need to be burned the whole night of Sivaratri…. 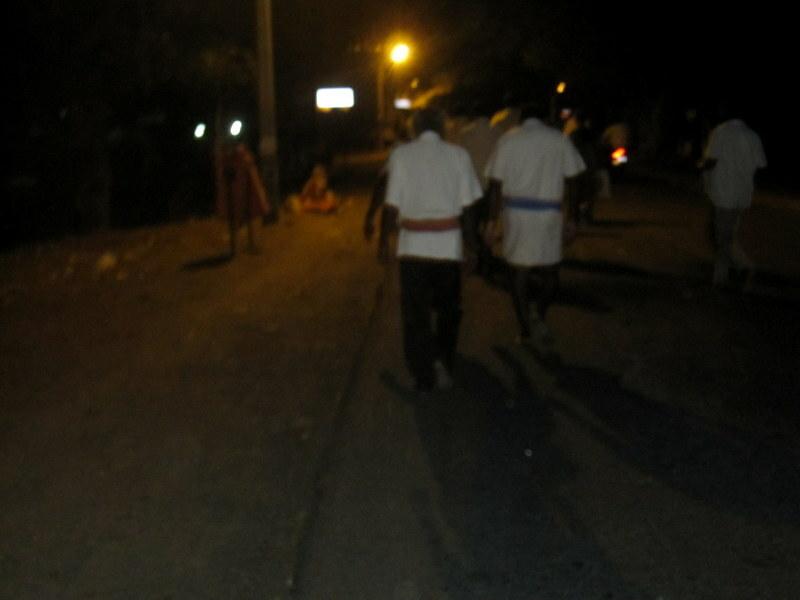 Then reach Ramanasramam around 2 am… The third kaala puja is completing just as I enter…. Final anuvaka of chamakam is chanted… And then the Rudram is chanted… Must be ekadasha rudram… Aarti is offered… Blessed Darshan…. 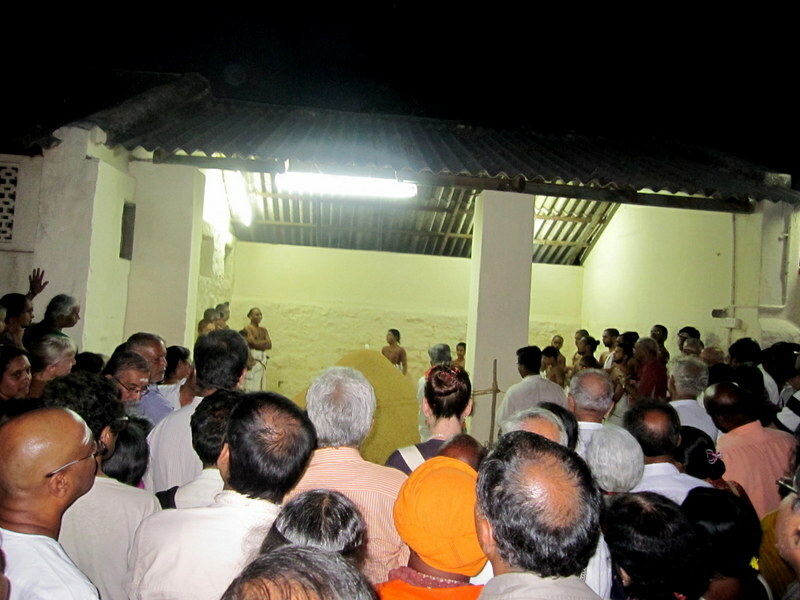 Fulfillment of Sivaratri..
Then walk to the Ashrama…. 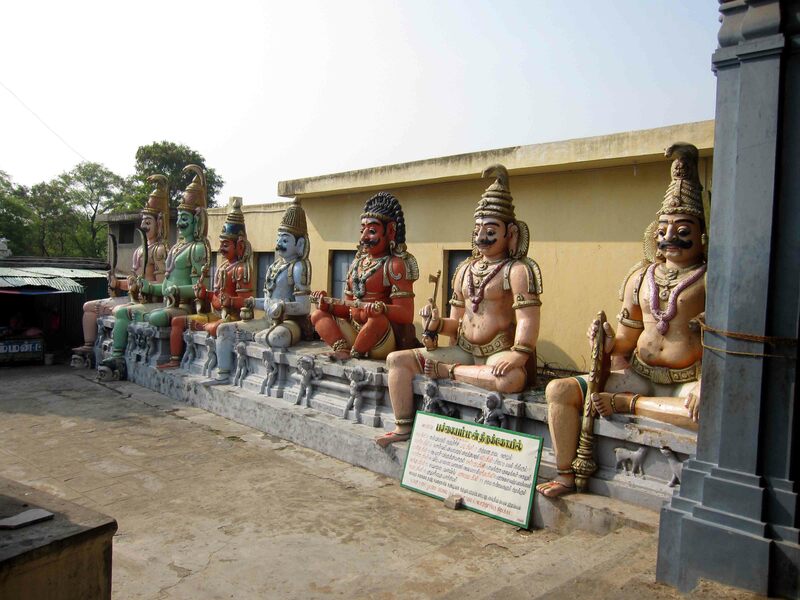 Signing off this post with a picture of that mornings Veda Parayana at Bhagavan Ramana’s sannidhi…. 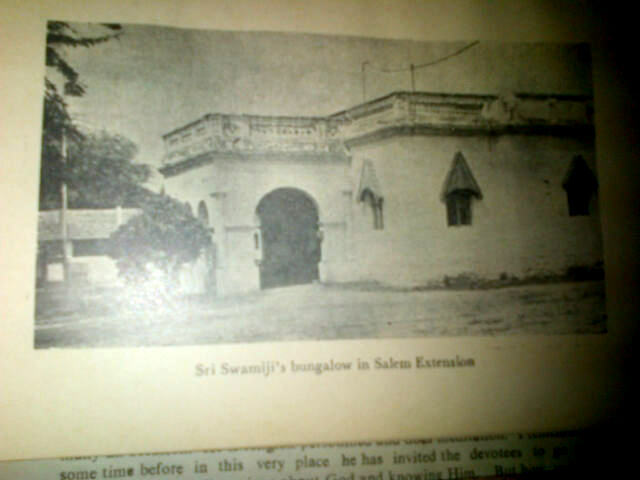 Last visit to the Ashram, I saw the cave where he lived… About that later.. At first, some details about Narasimha Swamiji.. Here is an old picture of the inside of the cave. 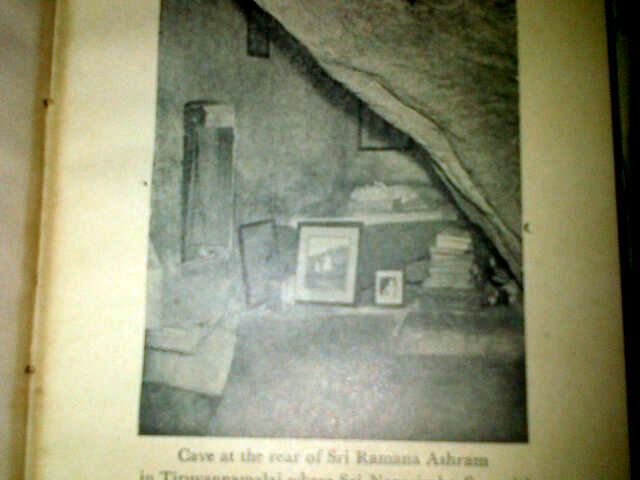 Here is a picture that I took..
Bhagavan Sri Ramana Maharshi stayed in Pachaiamman koil for six months in 1905, and then again for three months in 1908. In 1905, the town was ravaged by plague, and all the people had been evacuated from there. 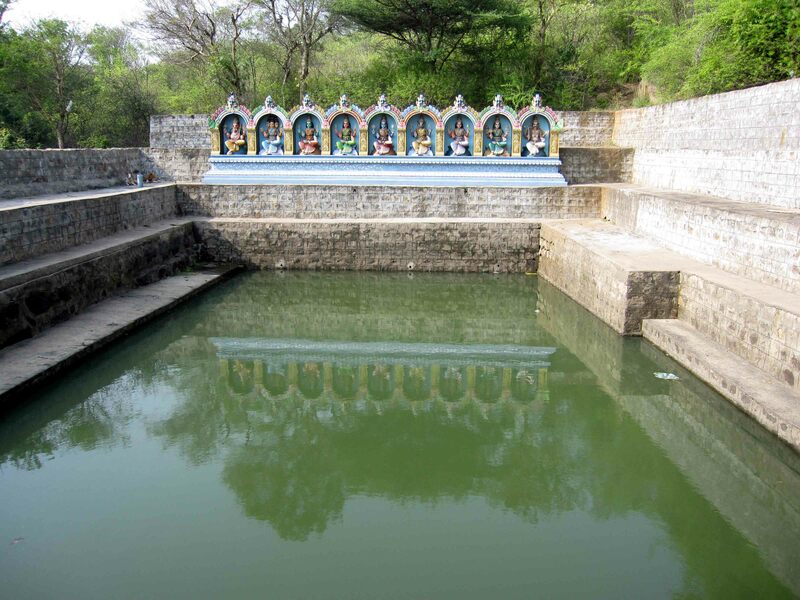 During that period, Bhagavan stayed in Pachaiamman temple, the abidance of the “Green Goddess”. Here’s a picture of the front of the temple. 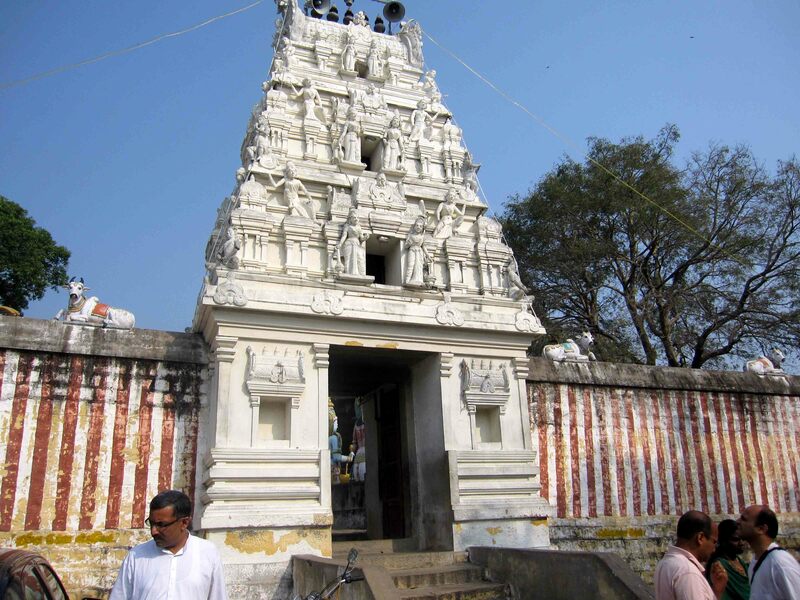 The temple is the abidance of Goddess Pachaiamman and her consort Mannarswami. 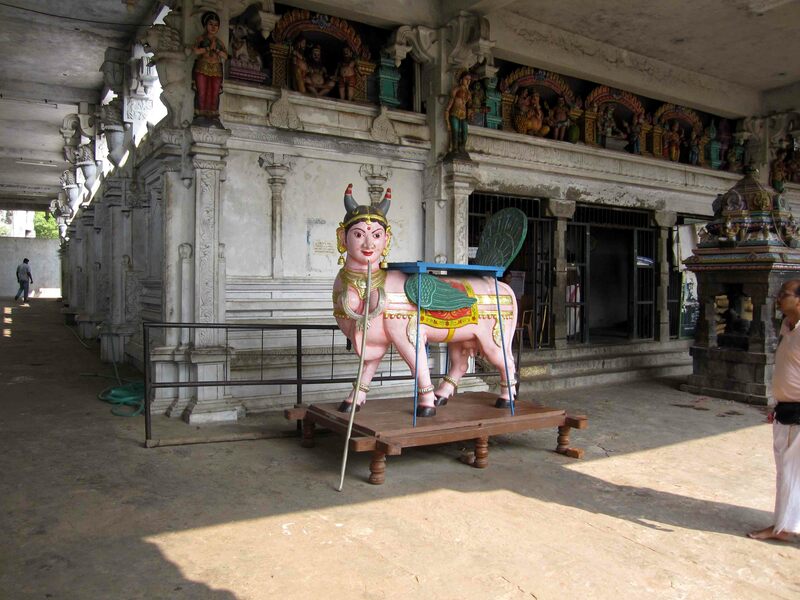 Several other village deities are also seen in the open…. 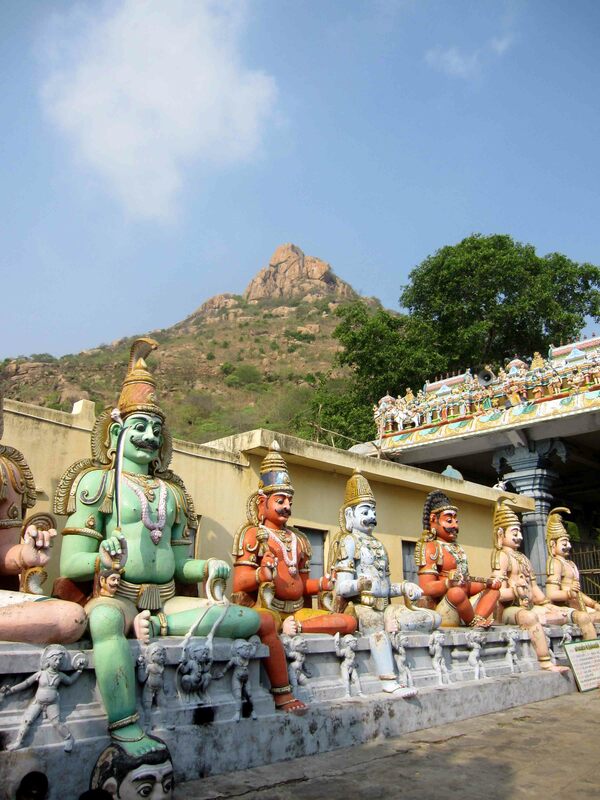 From the temple courtyard, one gets a glimpse of one of the hills of Arunachala. 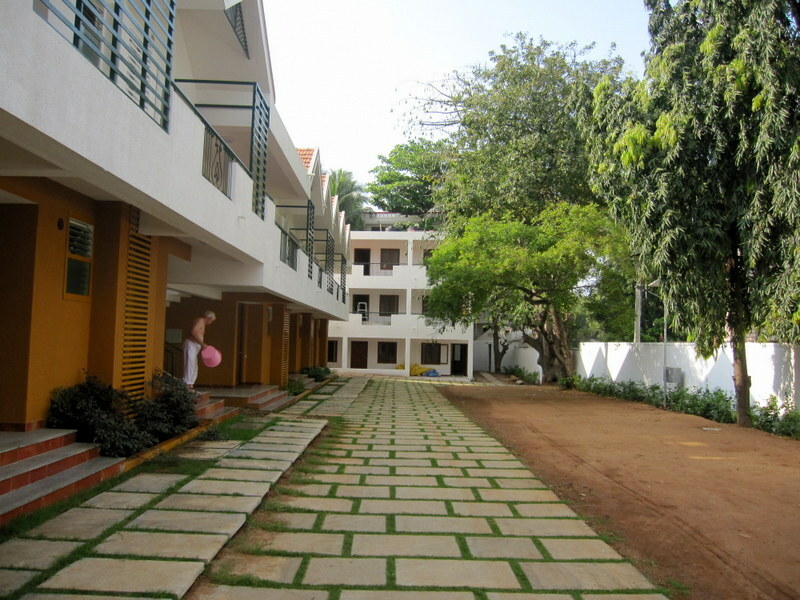 Many memories of Bhagavan’s stay here…. 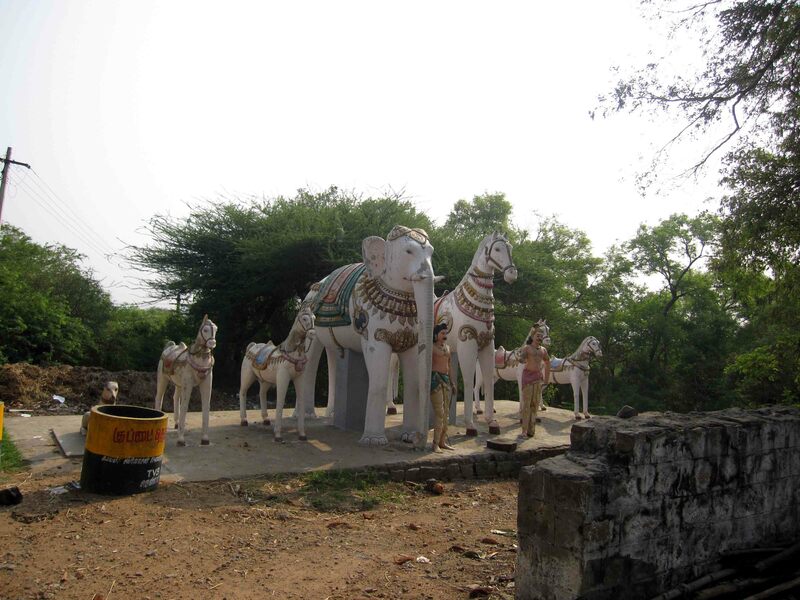 It was here that a group of monkeys brought a dead monkey and cried to Bhagavan. 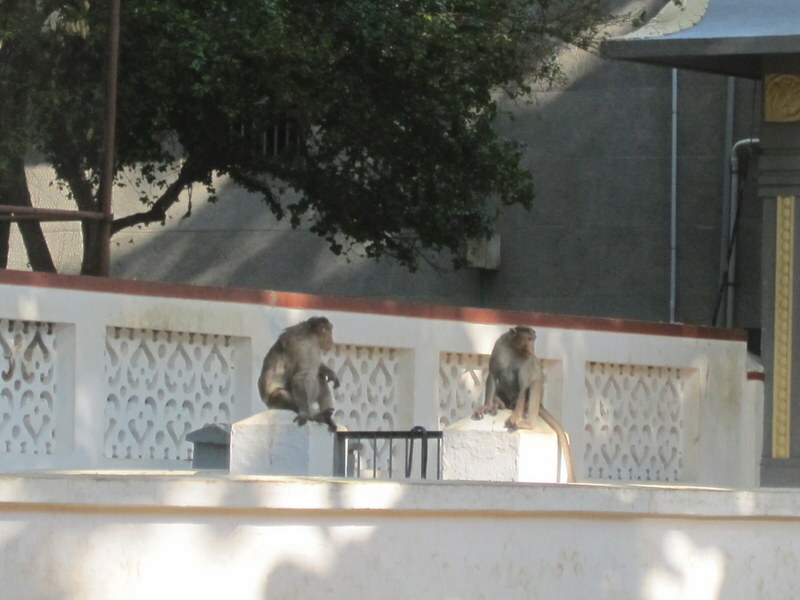 The dead monkey had been killed by the sling shot of a contractor who was harvesting tamarind from the trees here, and was scaring away the monkeys by shooting stones from a sling…. 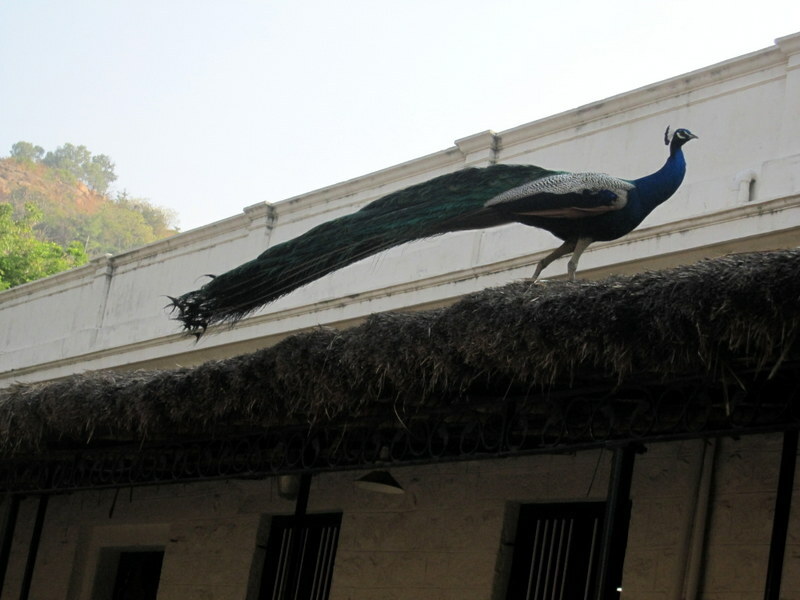 And here is a picture of Hamsa (swan) vahana.